Summary: Great for athletes, children, parents, and anyone who may be interested in silent alarm reminders. Interface is not as simple as some other devices. 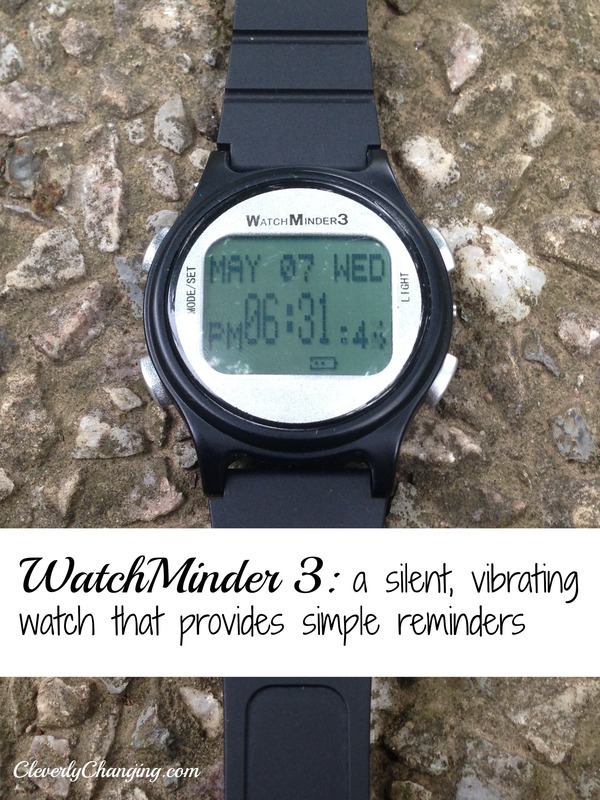 The WatchMinder3 (WM3) is a reminder tool designed by Dr. Laurence Becker, a child psychologist, specifically for children with Attention Deficit Disorder (ADHD). However, the WM3 can be used for a variety of different reasons. 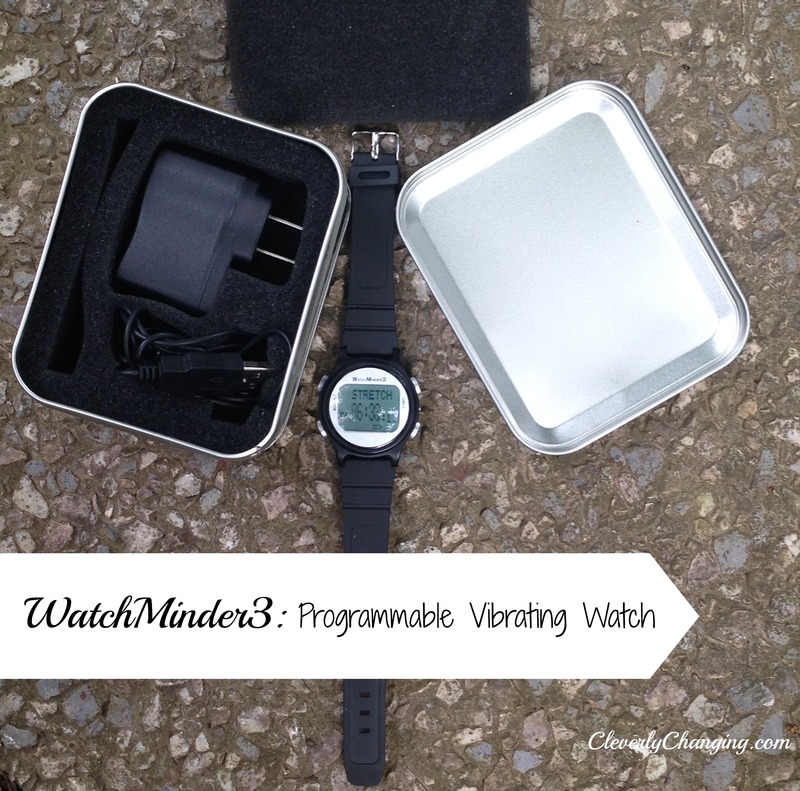 According to the testimonials found on the WatchMinder’s website, it has been used successfully by students, parent’s potty-training, children living with Parkinson’s Disease, Autism, Down Syndrome, ADHD, etc. 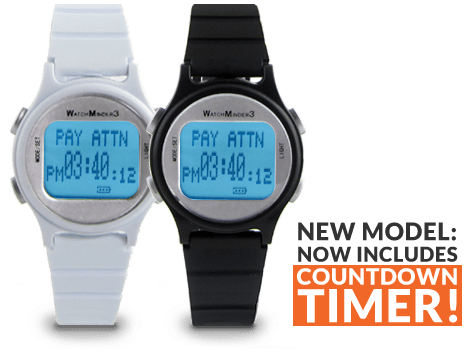 AD/HD, LD and Autism – According to an article post on the WatchMinder blog, the watch promotes self-monitoring and reduces stress, anger, parent and child communication issues. WHAT DO I THINK OF WM3? The idea of the watch is timely and great for any adult or parent with a child who needs reminders. Personally, the WM3 was a great tool for me to use because I struggle prioritizing my time and the WM3 helped keep me on track. It is a perfect solution for parents who homeschool and want to have a more structured day. It is a good alternative to using a cellphone as a reminder because it helps limit distractions and is silent. The WM3 is eco-friendly and uses rechargeable batteries (the charger is included). The watch band offers a wide range of size adjustment settings so it should be able to fit many customers without needing further adjustments. A blue light ensures that the time and messages can be seen day or night. I also appreciate that the WM3 is under a manufactures’ warranty for 1 year. Yes, the watch tells time, is programmable, and vibrates as stated in the instruction manual. The quiet reminders are great because they cannot be easily detected by others around you. Some of my most used reminders were stretch, clean, mail/email, and blog (not a preset message). ARE THEIR AREAS THAT MAY NEED IMPROVEMENT? 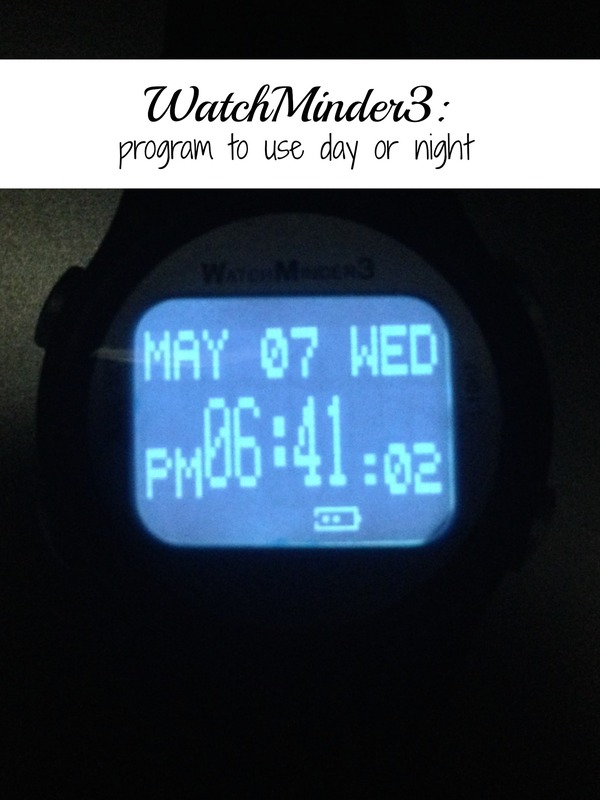 WatchMinder is great for situations that prohibit use of a cell phone. I think this watch is ideal for children who are in school and who need subtle reminders to stay focused. 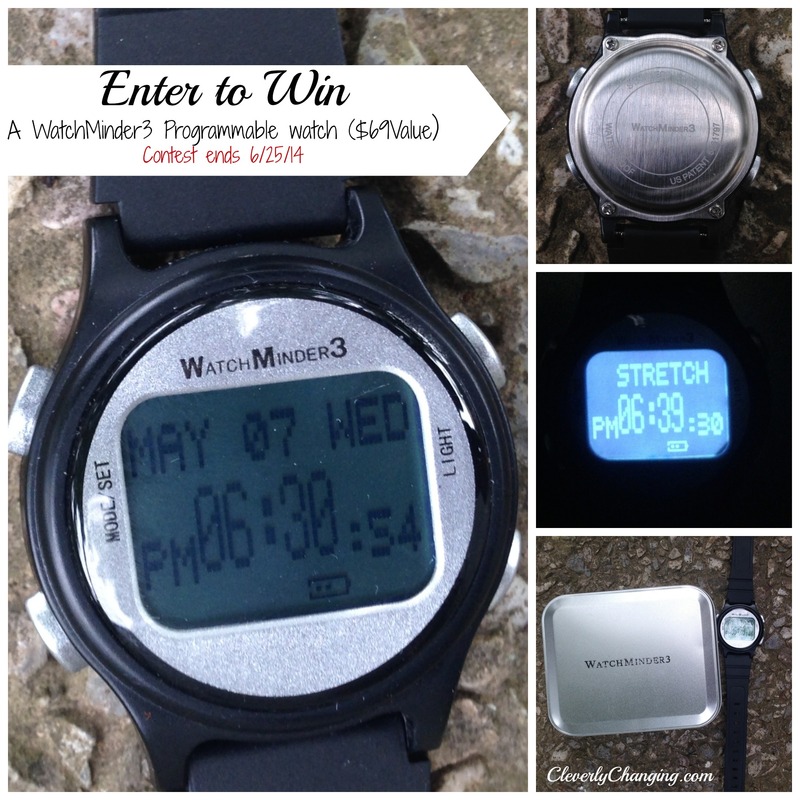 However, I think that parents will need to initially program the watch for their child until they become able to use to the programming functions on their. At first, I only used the pre-programmed functions because setting my own reminders was time consuming. Each alphabet has to be changed separately. Therefore, I wish the watch could also be programmed from a computer or cellphone. It would be wise to offer more input options, which would benefit parents and even hospitals if they wanted to give their patients programmed medical reminders. I think many parents would agree, they would love to be able to program the WM3 from anywhere, even if their child was at school, camp, or a friend’s house. Additionally, the watch is unisex and sporty, but some girls may feel that it is too masculine and not aesthetically pleasing. Therefore, to appeal to a larger variety of customers, the WM3 should have more band design options. *A free product was received for the review below. All opinions are my own.